Even as a judge prepares to permanently silence her, a former FBI translator of intelligence has implicated the US State Department in quashing investigations which had linked the 9/11 terrorist network to a global drug trafficking ring. 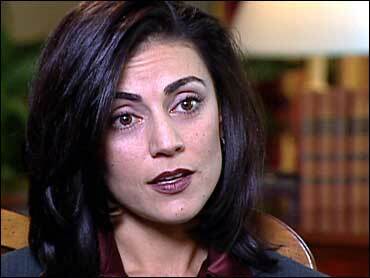 Sibel Edmonds, whose closed-door revelations to Congressional inquiries have been declared state secrets, says that as a result, FBI investigations were ordered terminated. "There are certain points..., where you have your drug related activities combined with money laundering and information laundering, converging with your terrorist activities," Ms. Edmonds told BreakForNews.com. Edmonds also indicated that the FBI's translation service had been penetrated by an intelligence group not linked to any government. "Intelligence is also gathered by certain semi-legitimate organizations --to be used for their activities," said Edmonds. "It really does not boil down to countries anymore...[ ] When you have activities involving a lot of money, you have people from different nations involved.... It can be categorized under organized crime, but in a very large scale." Because of a provisional gag order issued by Judge Reggie B. Walton which prohibits revealing specific details, Edmonds can only paint a picture in the broadest of brush strokes. But her measured words hint at politically explosive connections between criminal drug/intelligence networks, and the 9/11 attacks. "You have [a] network of people who obtain certain information and they take it out and sell it to... whomever would be the highest bidder. Then you have people who would be bringing into the country narcotics from the East, and their connections. [It] is only then that you really see the big picture." "And you see certain semi-legitimate organizations that may very well have a legit front, but with very criminal illegitimate activities --who start coming at you from these investigations." "And the picture becomes, actually, very clear. Crystal clear." In December, 2001, a fellow translator with top security clearance tried to recruit Edmonds to a semi-legitimate intelligence network --part of an organization which was itself already a target of FBI investigations. When Edmonds reported the recruitment approach to her superiors she was fobbed off. The translator was working on FBI material related to those investigations. Because of that translator's activities, two top targets of FBI investigations left the United States. That is the type of critical failure undermining any serious investigation of the 9/11 attacks which has emboldened Edmonds to continue to highlight the issues. Edmonds has testified in closed sessions before the September 11th Commission and both the Judiciary Committee and Select Intelligence Committee of the U.S. Senate. Some lawmakers have huffed and puffed over her revelations, but their rhetoric has proved to be just hot air. No action has been taken by any of those bodies to substantially address her concerns. Meanwhile the Department of Justice process is stalled by the usual "awaiting a report" tactic. Despite the disinterest of the FBI or its oversight mechanisms, and the retrospective classification of her testimony to Congressional inquiries as state secrets, Edmonds is resolute --and well past the point of no return in her battle for the truth. "Over two years have passed," she says. "I'm hoping there will be at least one.. just one Congressman, one Senator, who will be willing to take a stand, and come forward, and put out this information.... And I'm still looking for that one courageous person." "Sibel Edmonds will not make any friends in the Congress, if she continues pressuring us and if she continues demanding action. That's not how she will not make friends here -she will make only enemies." With friends like that --who needs enemies. "If they don't want to be pressured, then they should not run for office," says Edmonds. Unsurprisingly, Edmonds' evidence has languished in Congress. Since October, 2002 the judge in her dismissal suit against the FBI has allowed the government's state secret application to bind her --without ever making his final determination on the issue. However, as soon as the Motley Rice legal firm subpoenaed her for it's legal suit on behalf of 9/11 victims' families, the government went hotfoot to Bush-appointed Judge Reggie B. Walton, to seek to bar her testimony from the case. That was a panic move spurred by the prospect of her evidence becoming public, says Edmonds. Late last week, Judge Walton ordered the Department of Justice to state why "sensitive information cannot be disentangled from nonsensitive information," and why Edmonds cannot proceed with her suit. If the FBI argues well, Edmond's case could be sunk. On 9th June, the judge will hold an in camera session with government lawyers. He is to announce a final decision on 14th June. In his latest order, Judge Walton admitted that denying Edmonds her day in court would be "draconian." "...Seemingly innocuous information can be... fitted into place to reveal with starting clarity how the unseen whole must operate." Perhaps Judge Walton reads the NY Times. Last month, when an FBI official defended the agency's actions to the NY Times, the terms used were strikingly similar to the words of the judge, last week in his order. "The problem is that while these pieces of information may look innocuous on their own," the FBI official told the NY Times. "You put them all together and it reveals a picture of sensitive intelligence collection...."
Maybe that coincidence arose because the judge and the FBI read the same newspaper. Perhaps it's that they read the same legal books. Or sing from the same hymn sheet. And you thought the various 9/11 inquiries were after the truth? Edmonds has testified before the Sept. 11 commission, the Senate Judiciary Committee and the Senate Select Intelligence Committee.